The $14.3 million building was made possible through a lead donation from Bayer CropScience. 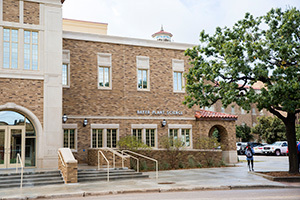 Texas Tech University's continued commitment to agricultural research and education took another step forward Friday with the opening of the new Bayer Plant Science Building. Thanks in part to Bayer CropScience, a longtime philanthropic partner in of the College of Agricultural Sciences & Natural Resources, the Bayer Plant Science Building will provide students with a state of the art facility to learn and conduct research as well as collaborate on projects with fellow students. At a cost of $14.3 million funded from donations, including a lead gift from Bayer CropScience, the project adds more than 21,000 square feet of laboratory and office space while also renovating more than 2,400 square feet of interior and exterior space in the Plant & Soil Science Building, which houses the Department of Plant & Soil Science. 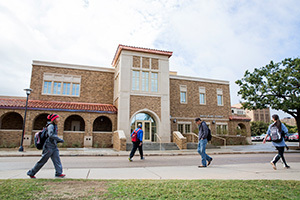 The Department of Plant & Soil Science consists of 28 faculty members who conduct research on a large scale, from the cellular level to large-scale eco-systems. The department offers bachelor's and master's degrees as well as a doctorate and four post-graduate certification programs. 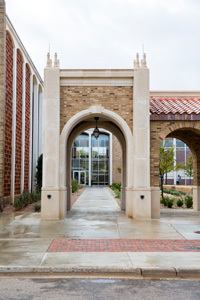 The expanded facility includes new research and teaching labs that enable the department to expand its research mission and build on Texas Tech's growing reputation as a national research university. The high-tech equipment and expanded laboratories give researchers the tools to address emerging global challenges in food and fiber production. 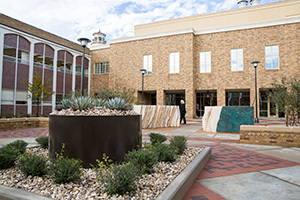 The new building also creates an enclosed courtyard that serves as an outdoor instructional space for Plant & Soil Science programs. Renovations inside the existing Plant & Soil Science Building connect the existing structure with the new building as well as new offices for faculty, staff and graduate students. It also provides a new break room, accessible restrooms, infrastructure upgrades, landscape enhancements and public art.